A charming coastal town rich in history, the Town of Ipswich is a popular tourist destination. 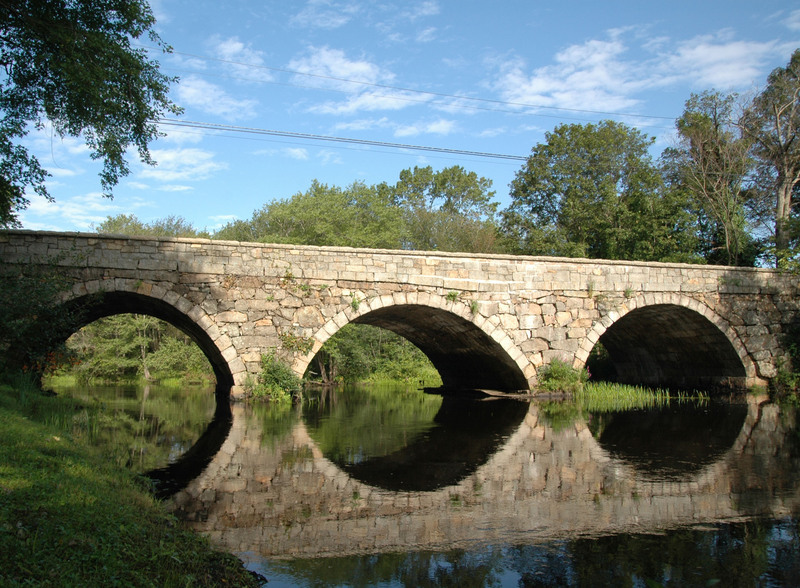 With an abundance of antique homes and preservation areas, Ipswich is home to the Castle Hill and beautiful Crane’s Beach, a 4 mile stretch of sand with access to over 5 miles of wooded hiking trails and dunes. 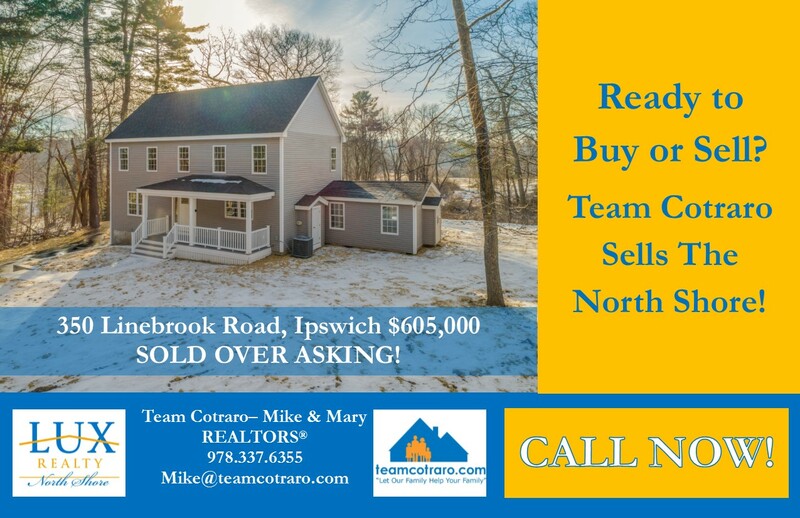 Ipswich Colonial SOLD by REALTOR® Pat Fenton in just 4 days! 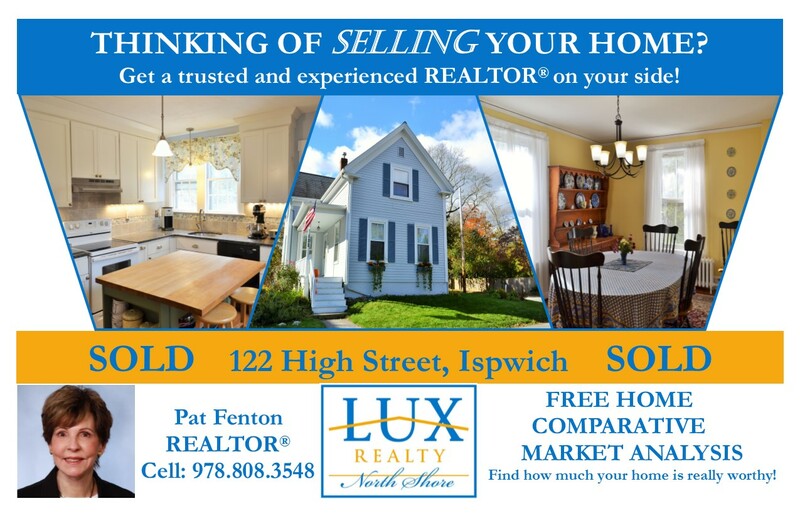 LUX REALTOR®, Pat Fenton listed 122 High Street, a classic colonial in downtown Ipswich, and in just 4 days of being on the market, her Sellers received a full price offer! This sweet home offers over 1,200 Sq. Ft. of living space, 3 bedrooms, 1.5 baths that have been tastefully updated, a gorgeous kitchen, and formal living & dining rooms. Thinking about selling your home? Call Pat for a FREE, no obligation home market analysis and get moving today! 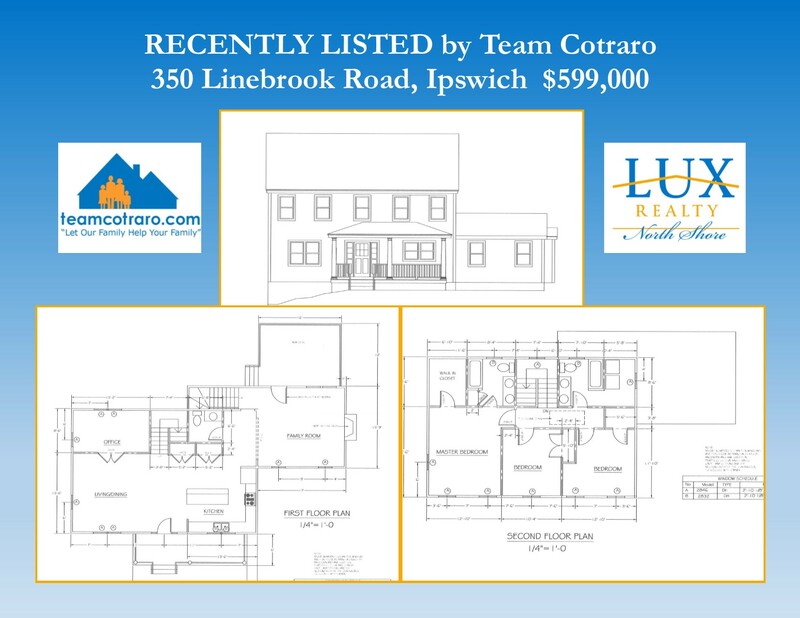 Listed by Team Cotraro, 350 Linebrook Road, is in the process of a major renovation and there's still time for Buyers to pick out finishing touches; such as paint, lighting options, and cabinetry hardware! Offering 2,600 Sq. Ft. of living space on 3-levels, this handsome Colonial is tucked on a .98-acre lot and offers 3 bedrooms, 2 full & 2 half baths. The builder thought of it all, an open concept floor plan that is perfect for today's lifestyle, a spacious master suite with 8'x7' walk-in closet, 2nd-floor laundry, a bonus room and half bath in the basement, new heat & central air and so much more! Great opportunity to live in the charming coastal town of Ipswich. For more details on 350 Linebrook Road, please click on the photos. 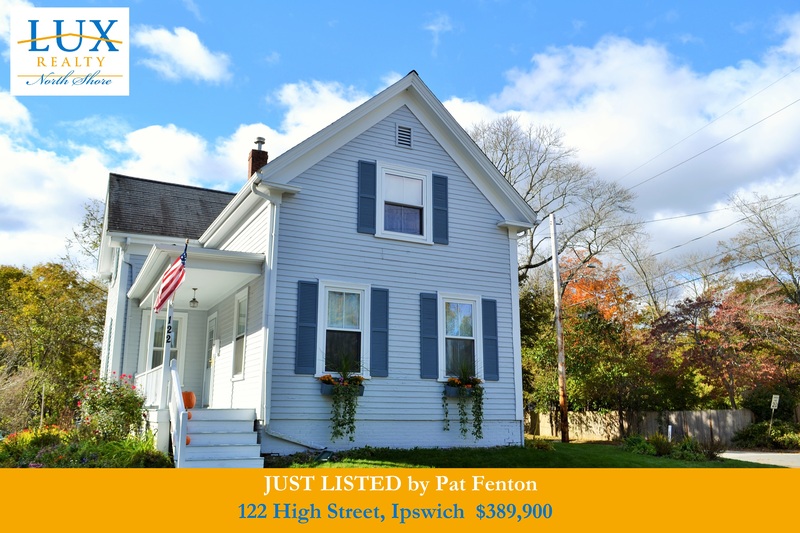 Welcome home to this classic Colonial set on a nice corner lot in downtown Ipswich. 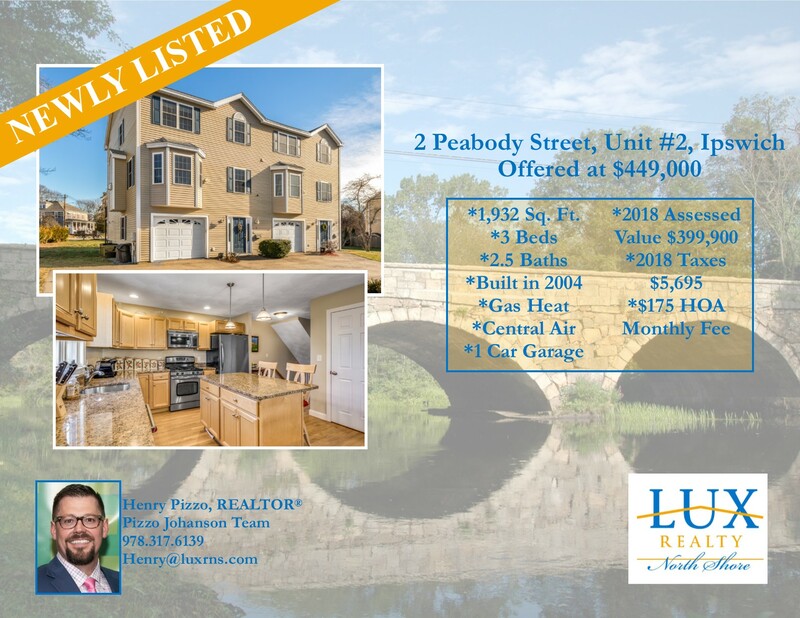 Newly listed by LUX REALTOR®, Pat Fenton, this sunny 3 beds/1.5 baths home offers wonderful detailing throughout and has been meticulously maintained. 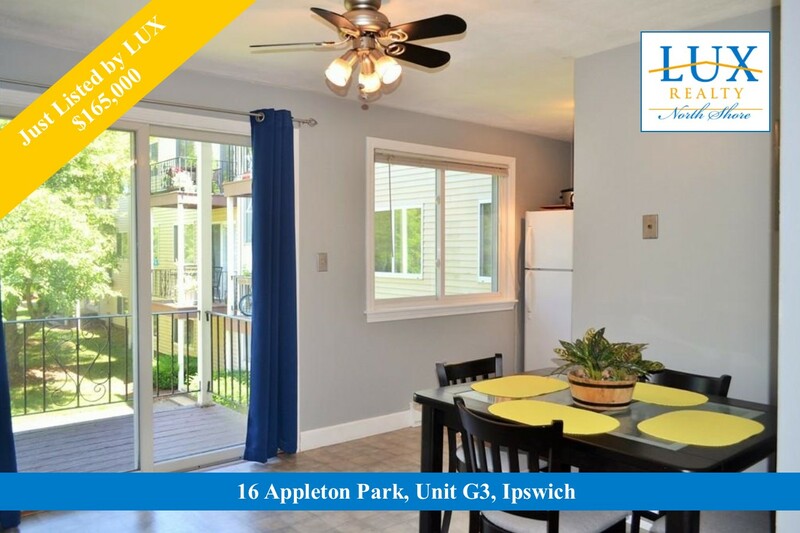 Enjoy tastefully updated kitchen & baths, formal living room & dining room, all near the great amenities of Ipswich. Double Open Houses this weekend- Saturday, 11/3, 12:30p.m.-2:00p.m. & Sunday, 11/4 11:30a.m.-1:00p.m. For more information on 122 High Street, please click on the photo. Sold by Adam Doane of The Pizzo Johanson Team! 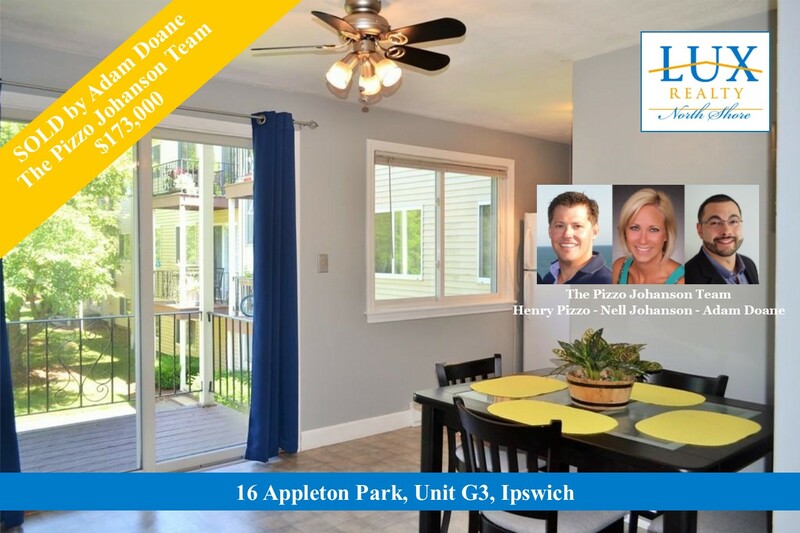 The Ipswich Condo market is hot and buyers are looking for homes just like yours!. The sellers of this adorable unit received multiple offers and sold their Condo for $8,000 over asking price....and it closed in just 11 days for cash! If you are thinking of selling your Condo, get moving and call LUX REALTOR® Adam Doane for a free price evaluation of your home today!